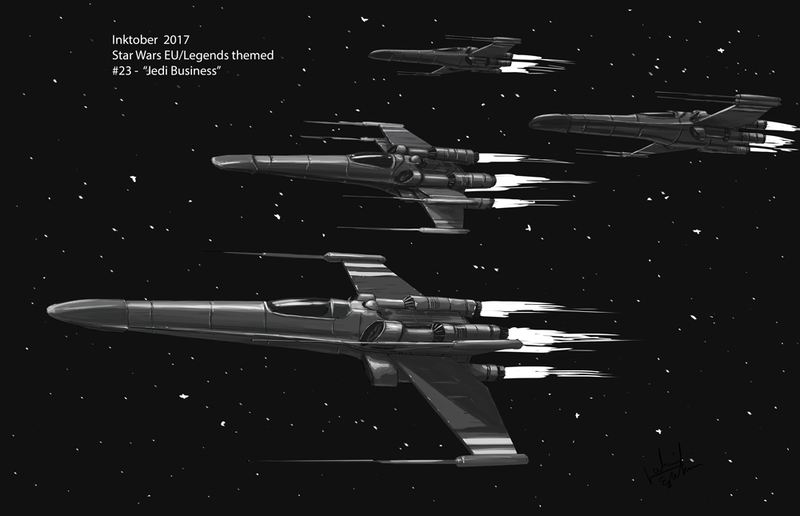 A flight of Jedi StealthXs. Black ships in a black environment. That's my excuse for bringing in shade. Totally has nothing to do with how much painting withdrawal I was in during Inktober...honest!